Following the shock of my story Quality Time winning the Henshaw competition last autumn (while away on an incredible road trip around Spain) I’ve suffered a bit of a dry spell in terms of output. The win was incredibly cheering, as were a couple of shortlistings for my piece: 1200 Thread Count in the Exeter Flash Fiction and Writer’s Bureau Flash competitions, but the motivation well ran dry. So, it’s a relief to be knuckling down again at last and hoping, as usual, for inspiration and improvement in 2019. Just write something – anything! 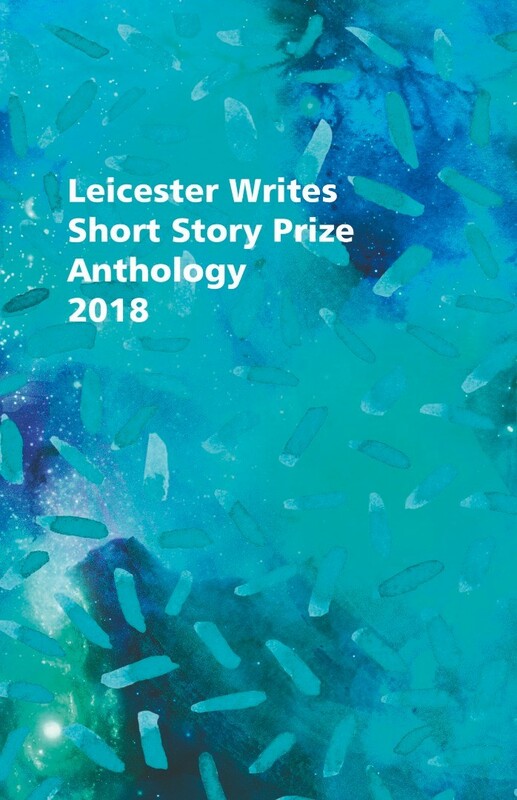 I was delighted to receive a highly commended in this year’s Leicester Writes short story competition and to be included in the anthology of long-listed and winnin g stories. The book was launched on Saturday 30 June at the end of a great short story writer’s workshop held in Leicester. Very interesting and motivating – time to start thinking about next year’s entry? I’m delighted to have my story Suits included in the new anthology of long-listed and winning stories in the 2017-18 Walter Swan Short Story competition. 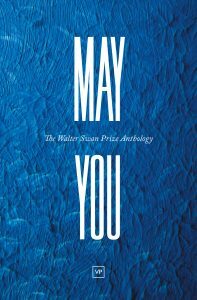 May You is a fabulous collection and I’m proud to see my work there. Coincidence is a strange thing. Just two days ago I downloaded an Anita Shreve novel on my kindle and started reading it for no reason other than that I saw the title and suspected I hadn’t read it. Over the years, I’ve greatly enjoyed a number of Anita’s books so when casting around for ‘a good read’, this seemed a failsafe choice. So, I’m currently enjoying The Lives of Stella Bain. I was astonished and saddened to read today that Anita died two days ago – too young these days at only 71. An obituary piece is here in the Boston Globe. Now, too late, one can only appreciate what they contributed throughout their life and thank them for doing so. Of course, I’m delighted, it’s great to see it in print (out this week!) and winning anything is always hugely encouraging. But actually, what really impressed me, having come second, was the attitude of the guy who came first (Dominic Bell). Apparently, so he says, he tries to enter almost all the Writing Magazine competitions to diversify his writing and actually finish something. This is his third win, with three other placings. Lesson to be learned there? 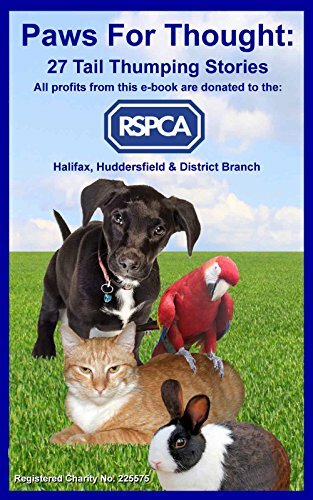 I’m delighted to have one of my stories – In the Frame – included in Paws for Thought, an anthology of 27 short stories collected together to raise money for the RSPCA. Available now on Amazon. Many thanks to Keith Boothroyd for organizing this initiative. A collection of thirty-two of my short stories has now been published as a collection: Instructions for Living. The stories have all been selected from those which have either won prizes or been short- or long-listed in creative writing competitions in the UK and internationally. The book’s available as either a paperback or a kindle version on Amazon and also as a paperback on FeedaRead. If anyone a) buys and reads it and b) likes it, I’d really appreciate it if you took the trouble to leave a review! Many thanks. I’m really pleased to be amongst the longlisters in Chris Fielden’s To Hull and Back Humorous Short Story Competition. I really appreciate the work Chris does to help and encourage other writers and love the fact that this is a competition for humorous short stories – probably the hardest of all to write, but wouldn’t it be great if there were more of them? By the way, Chris’s book: How to Write a Short Story, Get Published and Make Money is well worth a read. Helpfully, you can order a free taster PDF from his website – a great idea when there are so many ‘how to’ writing books about. I’ m delighted to have a story, Lift Off, included in the newly publishd Gascogny Writers’ Anthology. It’s a sweet little book with a fabulous cover. Many thanks to the organisers of the publicatio n, it’s always very rewarding to see your work in print. This article Mistakes Writers Make When Submitting to Literary Magazines published on the Aerogramme Writers’ Studio site and republished from Carve magazine is a great reminder of all the things we know, but somehow, sometimes, choose to overlook. Even the most brilliant stories will get rejected, and as a writer, you have to come to terms with the fact that you will get (many) more no’s than yes’s. Sometimes your story may not be right for a particular issue, or may not connect with a particular editor. Don’t let the rejections get you down. In many ways, this is a numbers game, and the goal is to get the right piece to the right journal at the right time. That’s hard to do, and chances are it’s going to take a lot of submissions before you get an acceptance. Oh yes! Intellectually I know that this is ab solutely true. So why does every rejection bring forth the thought: Well, I don’t know why I’m bothering – I may as well stop right now…?